Francesca P @ Glenbrae School: By this burrito! Well done for creating this advert - you included lots of really important information. 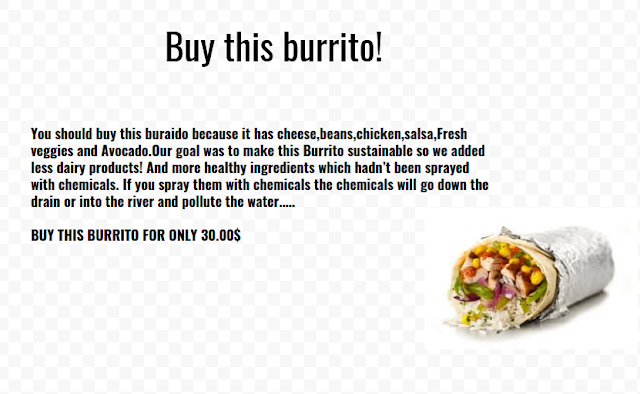 What did you think of the burrito that we made in the end? I really like the way you have presented your work.Maybe next time you could lower the price just a little bit.I looks very delicious but sorry can't afforded it.Well done.